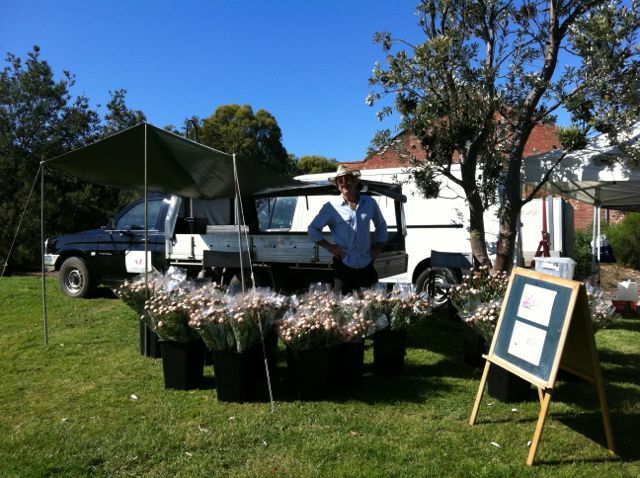 We will be at the Melbourne Farmers’ Markets again this year. There is nothing more satisfying than spending a Saturday morning strolling around a market full of farm fresh produce, talking to the growers, finding out about the products first hand and asking advice about how to store or keep the produce. Also Farmers’ Markets are increasingly becoming the most successful place for farmers to sell their products directly to the public where both parties benefit. The buyers know they are getting a fresh product and helping the farmer directly and the farmer has more control over the outcome of their products by avoiding the middle man. 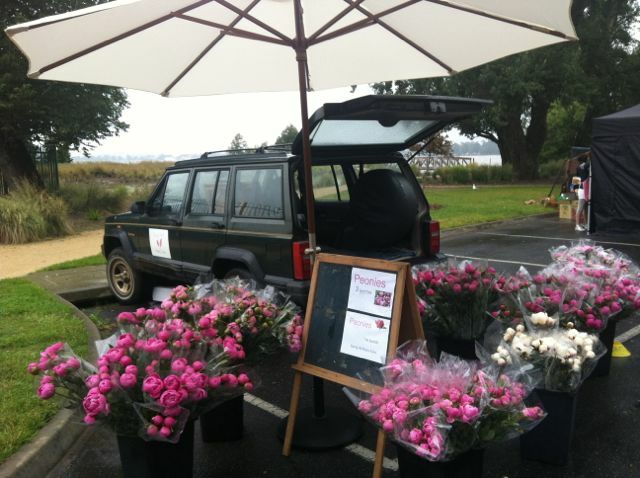 We grow our peony flowers to sell as bunches of cut flowers at the Melbourne Farmers’ Markets every Saturday in November. We use organic and sustainable practices on our farm and although we are not an Organic Certified Farm, we aim to be. We chip the weeds between the plants and we fertilise with organic fertiliser. We are accredited with the Victorian Farmers Market Association and we are part of the Melbourne Farmers’ Market circuit.